Steven Spielberg's Schindler's List is back in theatres after 25 years and as per the Academy Award-winning director, the 1993 epic historical period drama film is more relevant in the current scenario. Steven Spielberg's Schindler's List is back in theaters after 25 years and as per the Academy Award-winning director, the 1993 epic historical period drama film is more relevant in the current scenario. With Schindler's List, Steven Spielberg showed a firm moral and had an emotional grasp of everything that he presented on the big screen. With bold narrative, emotional directness, and visual audacity, Spielberg's Schindler's List has taken its place in cultural history. While speaking during an interview with NBC News, Schindler's List director said that the 25th anniversary of his film couldn't come at a more appropriate time than this. 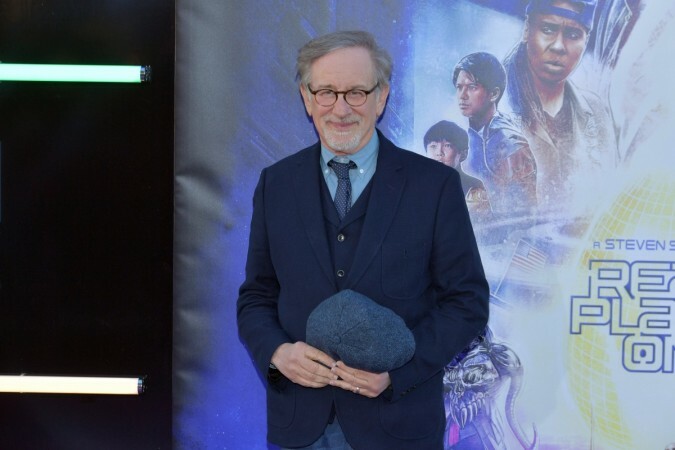 "I think it's just that hate is less parenthetical today and more of a headline," Spielberg said. "Individual hate is a terrible thing, but when collective hate organizes, then genocide follows. And that hate is not something that is not to be taken seriously. We have to take it more seriously today than I think we have had to take it in a generation." During his interview, Steven Spielberg further added xenophobia and racism to the list of current concerns. Schindler's List follows the story of Oskar Schindler (Liam Neeson), a Sudeten German (German-Bohemians) businessman, who reportedly saves the lives of more than thousand Polish-Jewish refugees from the Holocaust by employing them in his factories during World War II. 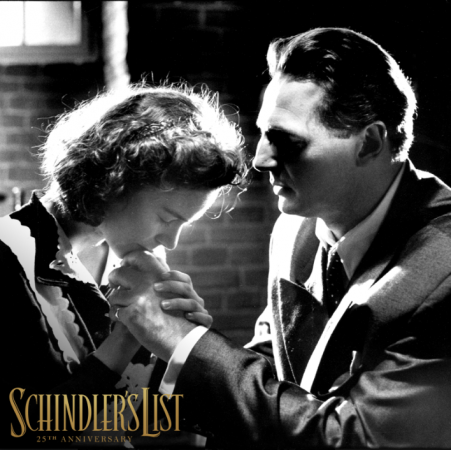 Schindler's List was released on December 15, 1993, in the United States. The film is often considered as one of the greatest films ever made. In addition to this, the film was also a box-office phenomenon as it grossed over $320 million worldwide on a budget of only $22 million. Upon its release, Schindler's List received acclaim from both audiences and critics. On Rotten Tomatoes, the film received an approval rating of 97 percent, with the critical consensus reads, "Schindler's List blends the abject horror of the Holocaust with Steven Spielberg's signature tender humanism to create the director's dramatic masterpiece." "I couldn't imagine, based on the story that we told, that an audience would tolerate just the amount of violence, human against human. Or inhuman against human," Spielberg added. "No one thought the film was going to make any money." At the same time, Schindler's List was the recipient of seven Academy Awards, including Best Picture, Best Director, Best Adapted Screenplay, Best Original Score, Best Film Editing, Best Cinematography, and Best Art Direction. Apart from Liam Neeson, the film featured Ben Kingsley in a pivotal role. Kingsley had already amazed everyone by his stupendous performance in 1982 Gandhi for which he was awarded the Academy Award for Best Actor. 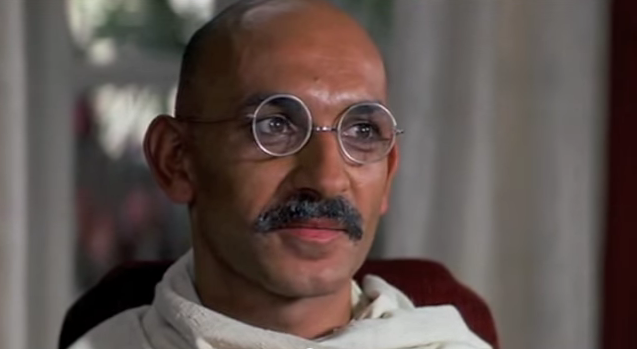 Some can even say that after playing Gandhi, Kingsley was somehow inspired to play another challenging role. In Schindler's List, he portrayed the role of Itzhak Stern -- a Polish Jew, who is hired near the beginning of World War II by the film's protagonist to run a factory. Schindler's List subtly reveals exactly what the lead characters are thinking at each point. Throughout the movie, Ben Kingsley did not reveal too much but at the same time, spoke by his actions. "I think he [Schindler] was hugely fortunate to recruit Stern as his accountant: Stern, a Talmudic scholar and a man who was a great judge of character. Apparently, the conclusion Stern came to after their first meeting was, 'This is a man in whom I can place total trust, and he will ultimately be very good for my community.' But you have to wait for this inner core to be revealed; you can't force it, you can't demand that it comes, you just have to wait," Ben Kingsley said in a past interview.